As the Solano County Sheriff’s Office continues to investigate the abduction and missing persons case of 15-year-old Pearl Pinson, they’re asking for the public’s help. Investigators are asking both witnesses and businesses within the Bay Area to come forward with information. 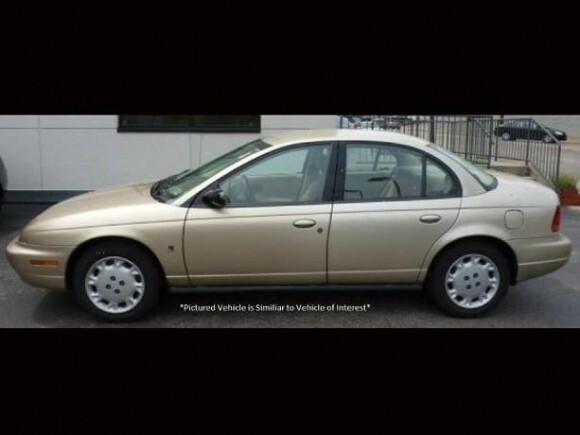 Businesses are asked to check surveillance cameras from 7 a.m. to 9:15 a.m. on May 25 for any sign of the suspect, Fernando Castro, or his car, a gold 1997 4-door Saturn. 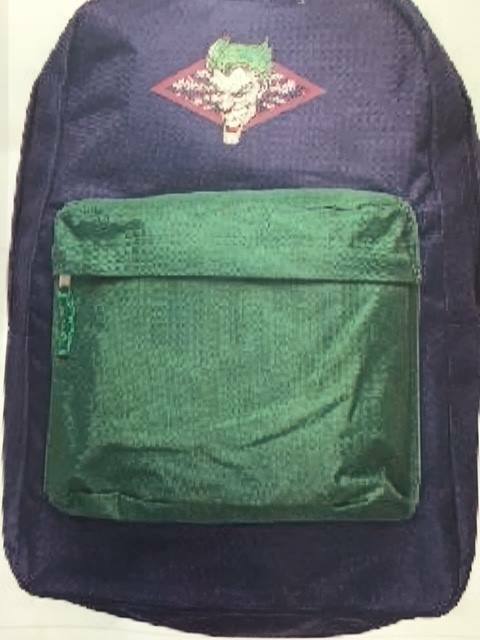 They are also are asking that people remain vigilant for Pinson’s green and purple Joker backpack, like the one pictured below. In a statement, the sheriff’s office said the information found on Castro’s cell phone during a search of his car led investigators to believe Pearl may be in the Jenner area, but an extensive search of the area turned up nothing. In addition to ruling out that Jenner area, authorities have also searched Willow Creek within Sonoma County, and several areas within the Marin and Solano counties. Since May 31, the Solano County Office of Emergency Services Search and Rescue Team has also conducted searches on the Glen Cove coastline in Vallejo, an open field and stream search of the area around the abduction site, and of the U.S. Highway 37 from Vallejo to Sonoma County, including the Skaggs Island area. Despite their findings so far, the sheriff’s office said that they “remain hopeful we will bring her home safe,” in their statement. The community is encouraged to call in any tips they may have to (707) 784-1963. If they see Pinson, they are encouraged to call their local law enforcement or 911—the sheriff’s office has said repeatedly they will continue to follow-up on those tips, and any future search will depend on where those leads take them. An AMBER Alert was issued for the missing Pinson by the California Highway Patrol (CHP), at the request of the Solano County Sheriff’s Office, on May 26. Pinson hasn’t been heard from since around 7 a.m. on May 25 and was believed to be with 19-year-old Fernando Castro—also of Vallejo—who authorities considered a suspect and believed him to be “armed and dangerous” at the time of the AMBER Alert’s issuance. According to the Solano County Sheriff’s Office, a witness reported seeing a white female, believed to be Pinson, being dragged by Castro over a pedestrian overpass in Vallejo. The female’s face was reportedly bleeding as she was yelling for help. Castro reportedly had a firearm in his hand, and as the witness ran for help, a gun shot was heard. Deputies responding to the pedestrian bridge alert found what looked like blood markings, but no Castro or Pinson. A cell phone was reportedly also found at the scene. Later that evening on May 25, the sheriff’s office said it was unable to confirm if Pinson was shot or the extent of any injuries. On May 27, Castro was shot and killed by authorities. The car Castro was believed to be traveling in was spotted in San Luis Obispo County. California Highway Patrol (CHP) and the Santa Barbara County Sheriff’s Office responded, chased the vehicle, and engaged in a shootout with Castro. He fled into a residential area and entered a mobile home. The female occupant was unharmed and Castro slipped out of the home and stole the woman’s truck, while firing at authorities. Authorities returned fire, striking and killing Castro. Around midnight that night, the Solano County Sheriff’s Office released a statement saying Pinson had not yet been found. Pinson was last seen wearing a grey sweater, black leggings, with a black and turquoise backpack; she has green eyes and currently has green hair. She never arrived at her school, Jesse M. Bethel High School in Vallejo, on May 25, according to the sheriff’s office. She is 5 foot 3 inches tall and weights 130 pounds. Users with information can post onto the Solano County Sheriff’s Office Facebook page post here, or are encouraged to call Detective Mattson at (707) 784-7061. Callers may also remain anonymous by calling Crime Stoppers at (707) 644-STOP (7867).